TORONTO, ON – Amsterdam Brewing has announced the release of a new seasonal that takes full advantage of the recent hops harvest. 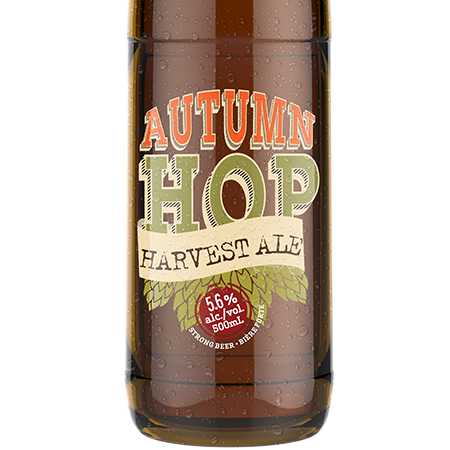 Autumn Hop Harvest Ale is a 5.6% abv beer made with freshly picked hops from Clear Valley Hops in Collingwood, Ontario. The hops were put into the beer during the whirlpool stage of the brewing cycle, and were used within four hours of being picked, imparting a fresh hop aroma and flavour into the beer. Amsterdam Autumn Hop Harvest Ale is available now at select LCBO outlets across the province, and both Amsterdam retail locations in Toronto. It will be available in 500 ml bottles selling for $4.75 while supplies last.